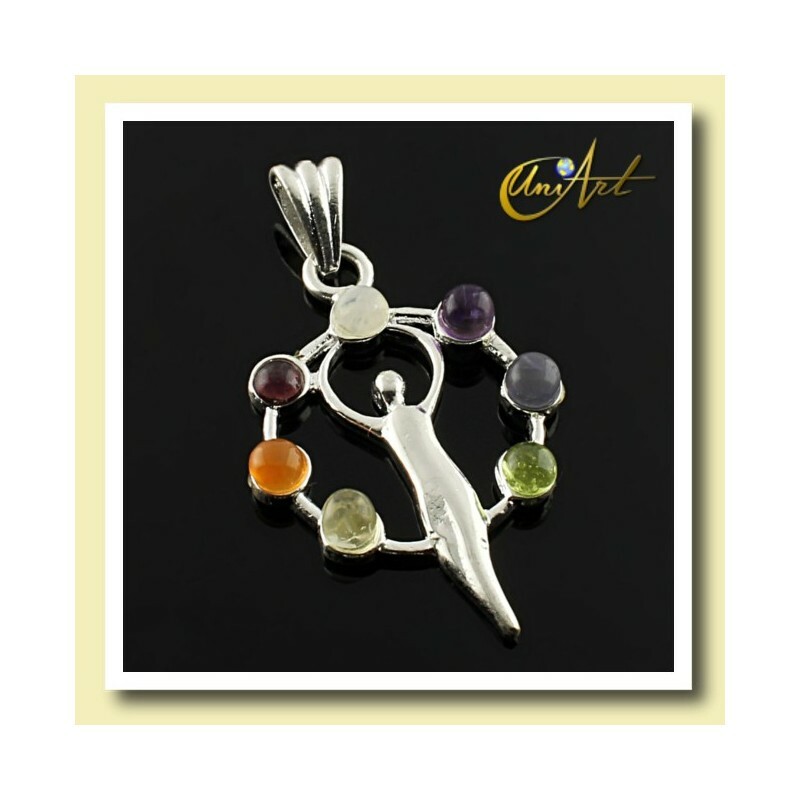 "de buena calidad y rápido en llegar"
Chakras pendant models primitive goddess or priestess, silver plated. 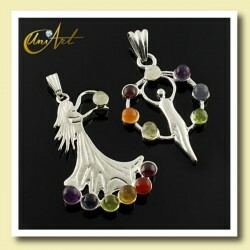 The pendants have the seven stones of the chakras, and are silver plated. 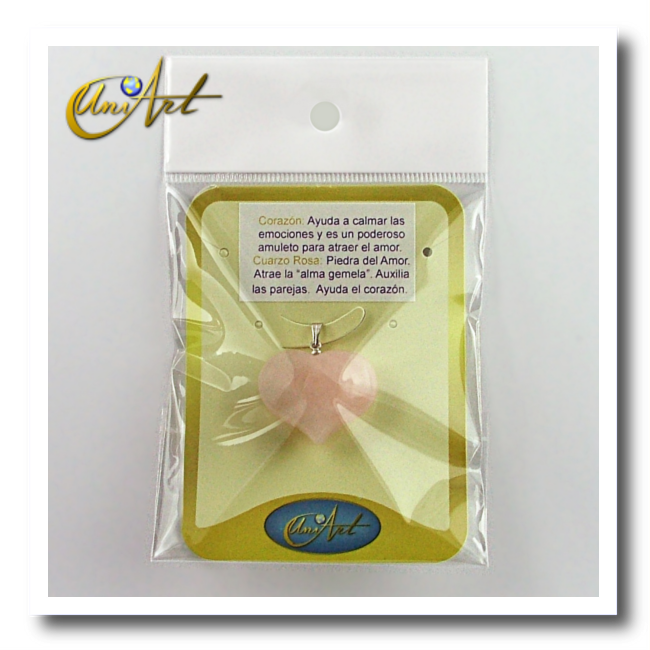 Model 1: The pendant represents the figure of the primitive goddess, measuring approximately 30 mm x 25 mm and weighs about 3.8 grams. 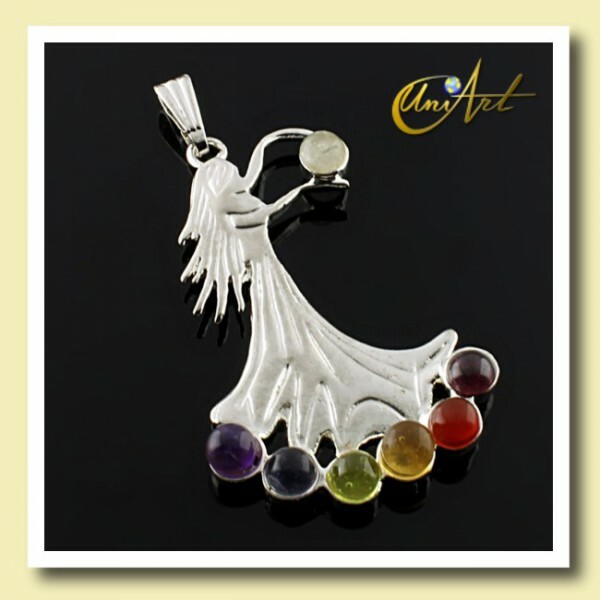 Model 2: The pendant represents the figure of a priestess, measuring approximately 48 mm x26 mm and weighs about 4.6 grams. 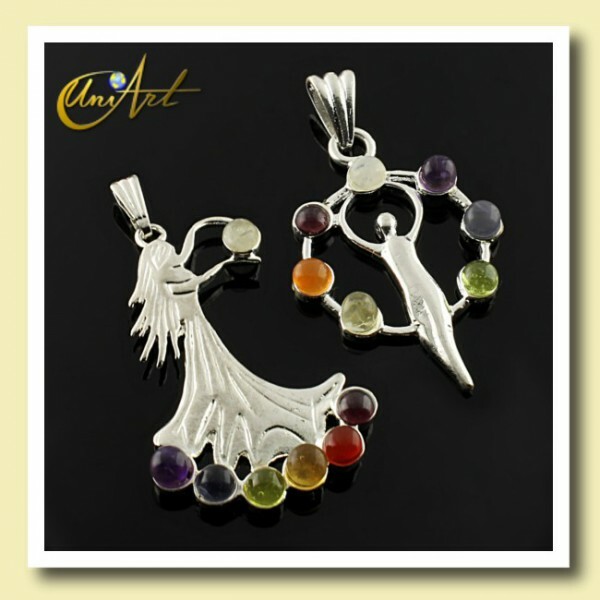 Both chakras pendants represent the feminine energy. Both the goddess as the priestess hold with hands the correlative stone of the seventh chakra, representing the domain of psychic forces. 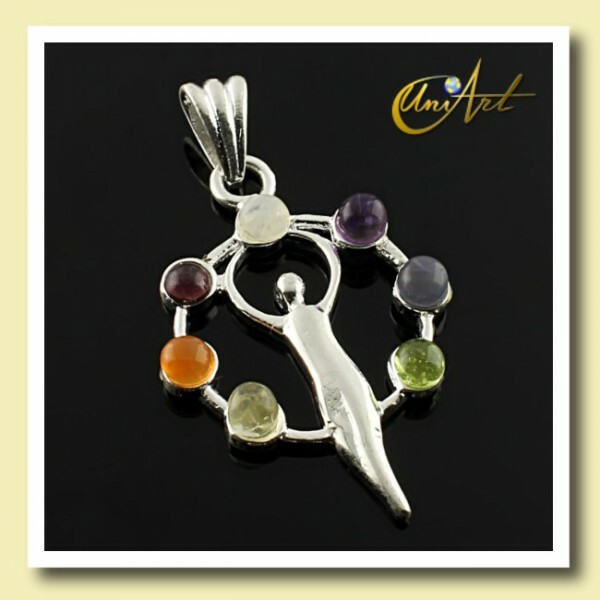 Pendant of the Heart Chakra "Anahata"